It was all going so well. As usual, a large group of you were moving across the border from Mexico to Texas, carrying much-needed prescription drugs for the uninsured poor. But then the border patrol ambushed your crew, and you were the only one who escaped. You made it to a border town, and all you can do is keep moving, get to your meet point. It's too late to go back now. 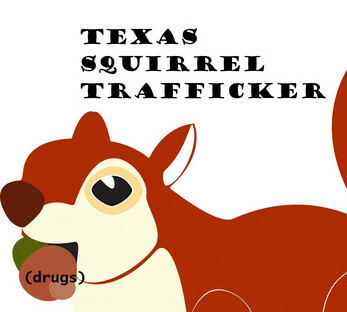 Oh, and you're a squirrel, and you're carrying the pills in a hollowed-out acorn. This is a one-player tabletop RPG that's an unholy fusion of Golf Solitaire and Alone in the Ancient City. You'll need a standard 52 card deck, a six-sided die, a writing utensil, and a lot of paper, maybe a little journal. You'll need a flat place where you can place at least 40 or so cards on the table. Poker chips might be helpful.